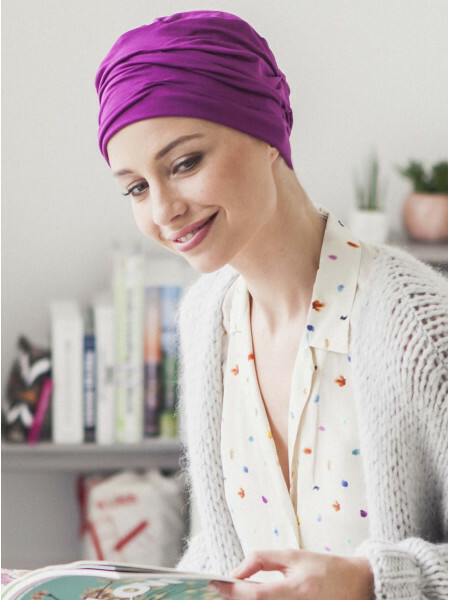 This cancer turban is one of the bestsellers in our collection. And it’s easy to see why. The bold raspberry shade looks feminine and stylish and works miracles during chemotherapy when you’re looking for ways to brighten a dull skin tone. 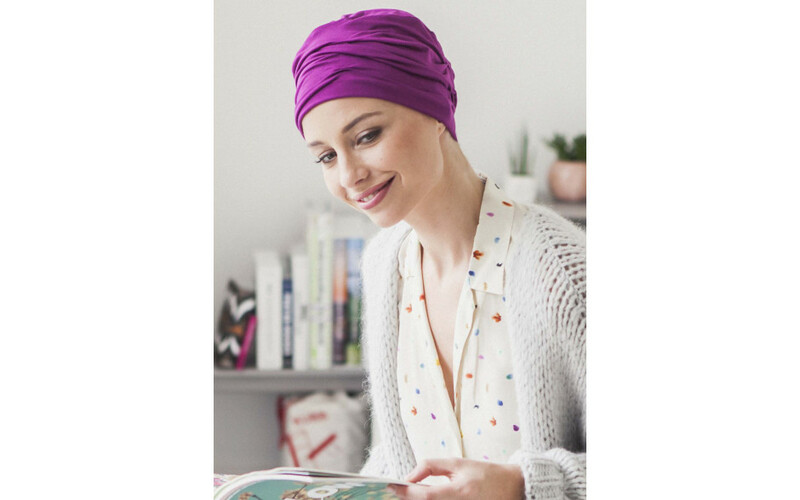 This chemo hat combines easily with various colours.